Students, faculty and alumni gathered at Six Flags Fiesta Texas for a night of fun and music to celebrate the kickoff of a new school year. Grammy nominated artist, Jesse McCartney, performed “Beautiful Soul” and other pop hits at Lone Star Lil’s Theater. 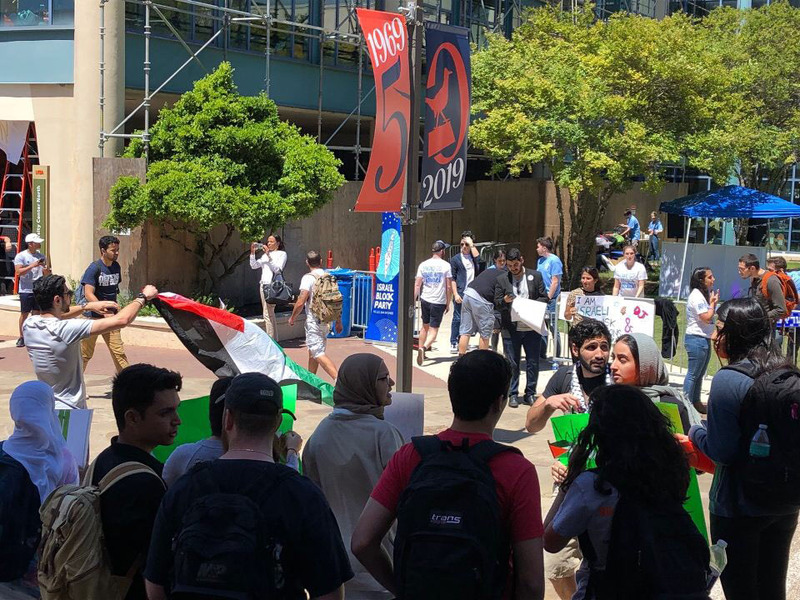 Beginning at 3 p.m., students were offered free shuttle rides to Six Flags, which ran continuously throughout the event. For students who chose to drive, parking was free after 5 p.m. for event attendees. 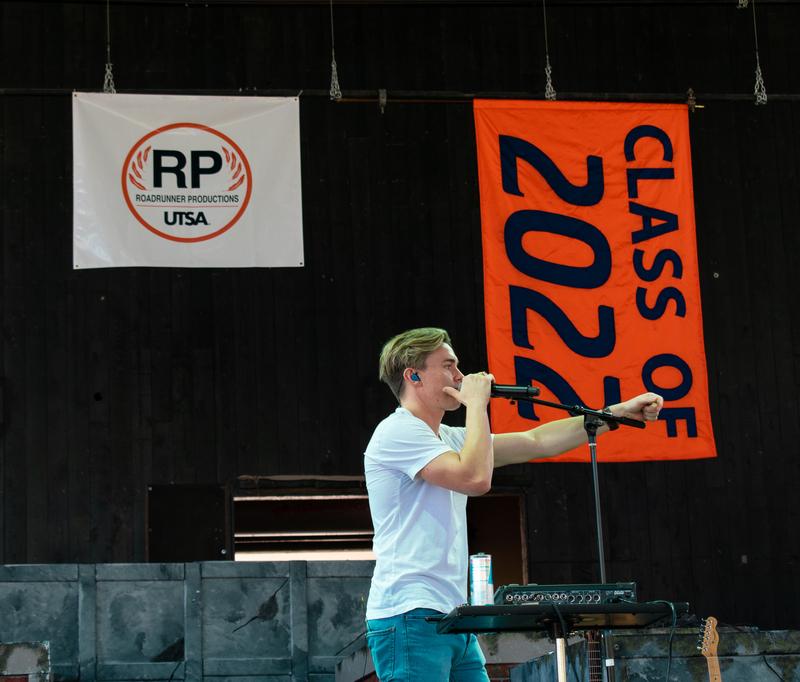 Regular park attendees were escorted out of Six Flags prior to the start of Jesse McCartney’s performance at 6 p.m., making the event exclusive to UTSA students, faculty and alumni. After the performance, attendees received a complimentary ticket only redeemable during the month of September. For the rest of the night, attendees were given exclusive ride time and access to the entire park until closing time at 11 p.m. This was the 23rd Howdy Rowdy Bash, an event originally designed to introduce the student body to student athletes. When the UTSA football program began in 2011, Howdy Rowdy Bash became a part of Roadrunner Days. Barry McKinney, UTSA associate dean of students and director of student activities, commented on previous artists who have performed at the event. As a collaboration with Roadrunner Productions and the UTSA Roadrunner Days Committee, with the support of UTSA’s vice president for student affairs, Sam Gonzales, and vice president for strategic enrollment, Lisa Blazer, a night at Six Flags was added to the agenda. The UTSA Roadrunner Days Committee obtained Jesse McCartney as this year’s musical entertainer for the event. The committee wanted to bring someone that connected with the student population. Politics and law senior, Blanca Palomo, enjoyed her time watching Jesse McCartney perform. With over 3,500 students, faculty and alumni in attendance, McKinney states the event was a success. Communication senior, Caroline Munoz, said the Howdy Rowdy Bash was a great event to start her final year at UTSA.